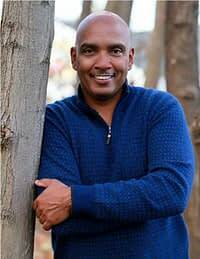 Gas Money, by first-time author Troy Lewis, is a heart-warming narrative told initially from the perspective of a six-year-old black boy growing up in 1960s Virginia. Published in 2015, Lewis takes us with him on his soul-searching journey over the next five decades. Soulivity recently spoke to Lewis about what went into writing the book. 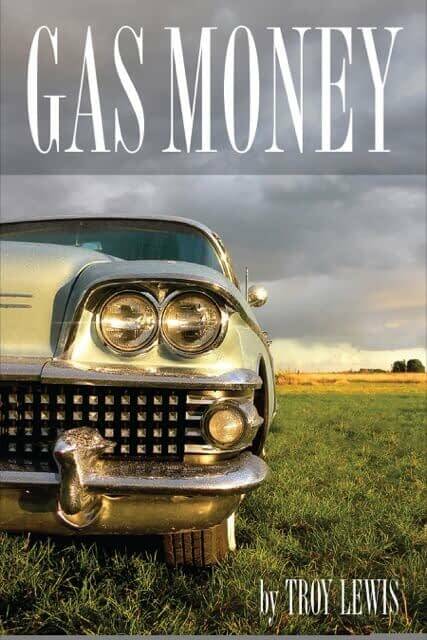 Tell me about your book, Gas Money – what is it about? Gas Money is a metaphor for people we meet in our lives who help us get from one destination to the next. Mostly, it’s everyday people we come in contact with. The book is a chronicle of my life and what I experienced growing up as a black kid in Virginia in the 1960s. I envisioned myself as this little kid reporting on everything he sees – from interactions with parents and uncles to what I saw on the “CBS Evening News with Walter Cronkite.” Essentially, I am a six-year-old reporter reporting on what was going on in my house in Middlesex County, Virginia and in the country from the 60s to the present. I often get asked that question. I think my book can appeal to anyone – white, black, young, old, Indian, Hispanic. I just want people to read my story, see the similarities, and then think about the people they’ve run into who’ve impacted their lives. I met two 16-year-old kids in a class I was speaking to who told me how much my book made them stop and think about how many people had impacted them. I gave the class an assignment to write about one person who helped them by giving them “gas money.” It made them reflect on what was going on in their lives. One young lady shared that her aunt and uncle had set an example for how she wanted to grow up. She said everyone else in her family got married young. Her aunt and uncle chose to take their time – they didn’t get married until they were in their 30s. She said that she wanted to be more like them and experience the world and have more interactions with people before settling down. People often struggle with their family and domestic abuse and alcoholism and not feeling like they belong – sometimes even followed by thoughts of suicide. Those feelings have nothing to do with skin color. If we were to remove our skin color, I think we’d realize we have more in common than we don’t. My intent when I started putting the chapters together was to tell my story – no one else’s – but the more that I wrote and the more feedback I got, I realized that everyone could relate to what I was talking about. People who were poor, rich, young, older, middle-aged, my age – it didn’t matter. Why is this an important book for people to read – now in particular? You knew the Lovings of Virginia, didn’t you? When I was a little kid, my family talked about Mrs. Loving like she was MLK – it took me 10 or 15 years before I realized the significance of the Lovings’ story. They were just a black woman and a white man who loved each other and wanted to be married. They wanted to mind their own business. I played with their kids at family reunions. The first time I met the kids, I couldn’t figure out if they were black or white – my mom said, “I don’t care what color they are, they’re kids, just go play with ‘em.” Mildred Loving is part of my family. Her father and my great- grandfather on my father’s side were brothers. We had a family reunion every year, and I saw them every year from 1967 until 1973 until my parents divorced. What was the biggest challenge in writing the book – didn’t you have a full-time job while writing? The hardest thing about writing the book was trying to figure out how to make it all come together. Initially, the chapters weren’t chapters – they were individual stories. It was hard to connect one story to the next. I’m not sure that I made that work – but I did the best I could. I had a full-time job, and I wrote whenever I found some spare time to do so. Often, that was on a plane or at home at night in the evening. If you want to write creatively, you figure out a time to make it happen. It wasn’t always easy. Something that is a lofty goal is never easy. It’s something you have to do yourself – no one is going to help you. Trying to determine the best time and budget your spare minutes is never easy because of the constraints of life. But if you don’t do it, no one is gonna do it for you! Your book was published last year – how’s the reception been? It was published on July 1, 2015, and the reception has been pretty positive. I’ve been featured on C-SPAN, Publishers Weekly, The Huffington Post, and the Richmond Times-Dispatch. I’ve also done radio and television interviews. I get comments every two to three days on my Website. You never know how your words are going to affect someone. One woman wrote that I helped her get up one morning and face the world. My story even helped people in my own family face problems of depression, and one even sought counseling after many years of some very serious problems. This was a guy I looked up to when I was little, and now I see that I’ve had a positive influence on his life. My only goal was to get two copies of the book – one for me and one for Mumma. I didn’t care about anything else. As of today, I’ve sold 1,200 copies. Most self-published authors sell about 200 copies of their books, so I’ve already sold 6 times more than the average. I’m proud of that. What’s the one thing you’d want a reader to take away from Gas Money? Every interaction – verbal or non-verbal – has an impact on someone. I don’t care if you speak or choose not speak to someone on the street or in the hallway – each interaction has an equal and opposite reaction. Every exchange – even in getting an order of food or the way you greet someone – it’s all connected and it is going to be received in a positive or negative way. What did you get out of writing the book – personal satisfaction? When my mom was reading the book, I let her know that I attempted suicide in 2011. My mom told me that she would not have been able to withstand that. And she put her arms around me for the first time I remember in my life and told me that she could not have lived if I had done that to myself. She said it would have killed her. She’s someone I never thought really loved me – I thought she just tolerated me. When she said that, I thought, “Wow, this lady loved me all along.” I used to think of Mumma in a negative sense – I’ve now let that go, and everything between us is positive. In our next issue, we will provide a review of Gas Money. In the meantime, go to www.gasmoneybook.com, to read more about it. 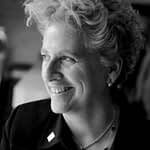 Sharon Gang is a freelance writer based in Washington, DC. Prior to her current career, Sharon worked on Capitol Hill in a variety of capacities for several different members of Congress, and also worked as a press secretary to Washington, DC Mayor, Anthony A. Williams. What’s the Big Hurry? Ten Ways to Embrace Slow Life! Q&As with Jesse and Melva!